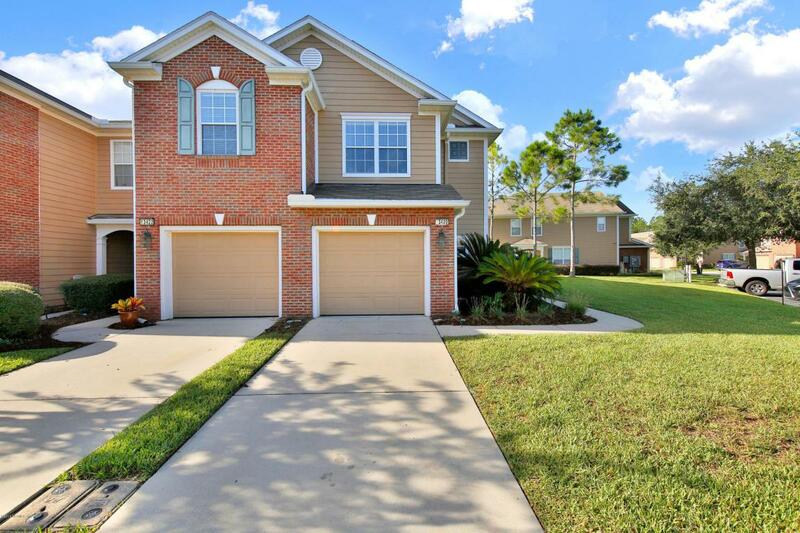 Premier END UNIT townhome w/ a single garage on the LAKE in Wolf Creek, a gated community very close to shopping, dining & the Beach. 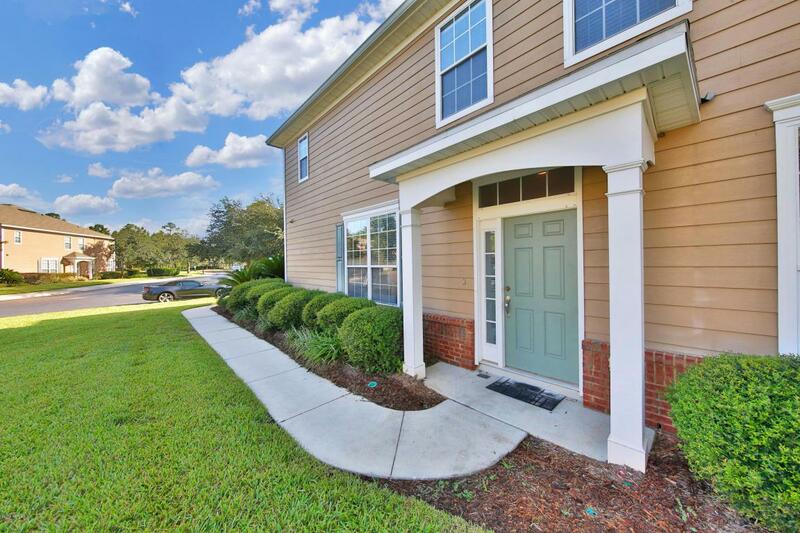 This 3BR 2.5BA shows beautifully w/ new Sherwin Williams ''Gray Clouds'' paint and brand new carpet. Dark cabinets w/ designer hardware, SS appliances & gray corian countertops complement its stylish contemporary look. SS stove is brand new. 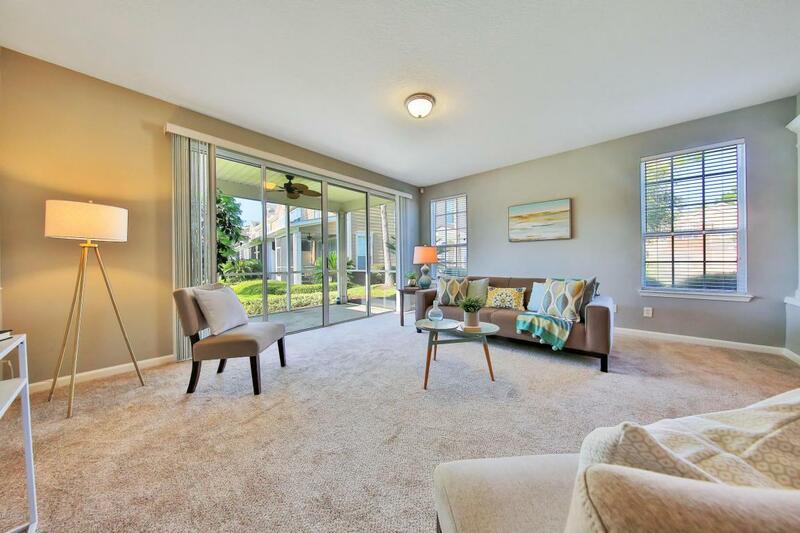 Kitchen is open to the dining & living rooms and the screened lanai overlooks the lake. Half bath downstairs. Nice natural light in this end unit. 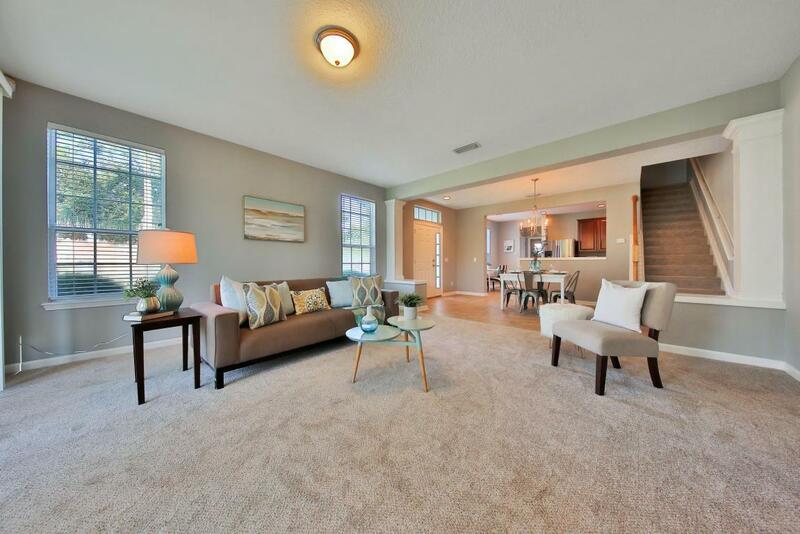 Master BR has a vaulted ceiling & there is a double vanity in master bath. The other full bath has dual entry adjoining BR#2 and hallway access for BR#3/office. Plenty of guest parking right outside the townhome. Steps away from community pool and fitness center.